Prism Manpower Services is pleased to introduce itself as one of the Indiaâ��s best Manpower Recruitment Agencies for domestic (India). Based in Mumbai, we have our network spread throughout India, which enables us to attract and recruit the best available professionals (all types of staff categories, skilled & semi skilled manpower and workers) at competitive rather reasonable & suitable salaries. 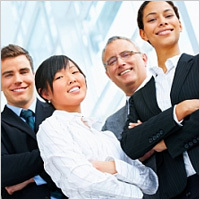 We are established in the field of Recruitment & Manpower Providers for the past Four Years. During all these years, we have successfully catered & provided requisite manpower requirement of various Companies in India to their satisfaction, since we are a one-source multi-resources organization. We can also provide our services to the critical core industries i.e. Oil & Gas (Petrochemical, Refinery, Fertilizer, Power plants etc. ), Infrastructure Development, IT, Telecom, Banking, FMCG, Consumer Goods and Health Care. Our Modus Operandi/Core strength is our well-trained/experienced staff that is specialized in talent hunt i.e. identifying and sourcing candidates from the exact companies in India who are engaged in similar business related to our clients. This way we not only save time but also help our clients recruit suitable staff in short time. We can guarantee our performance by having a compensatory clause in our contract if the sourcing is not up to your expectation or within the specified time period.